I seems like every time I do a ShoreTel install (or tie two phone systems together), I always have to make up a T1 crossover cable so that I can tie the ShoreGear equipment to the ISP device (usually a Cisco router with a T1 CSU/DSU module). And, I always have to look up the pinout so I can make the cable correctly. So, I thought Id put the pinout up here so that I can reference it later and so that it might help you all who might be looking to make one. 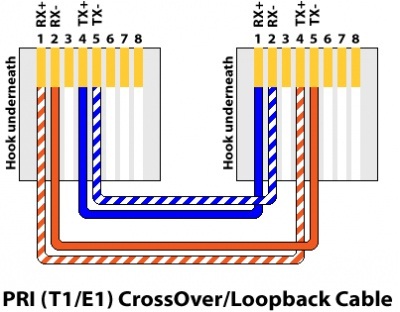 You can also dub this as a Loopback cable. I usually do this with just one RJ45 connector and route the wire from 4 and 5 to 1 and 2. 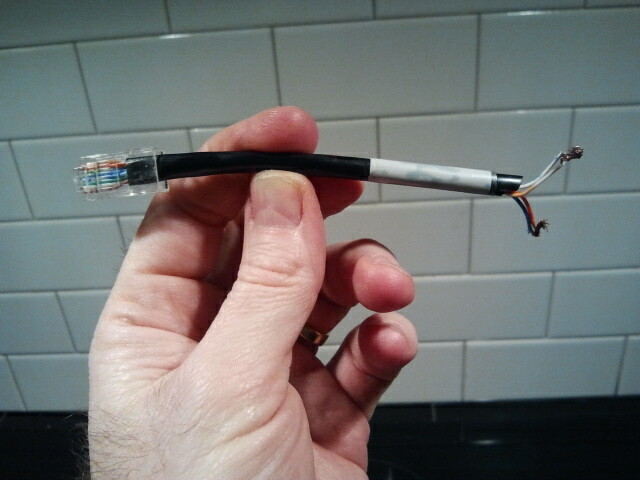 Here is a picture of a cable I created for a loopback.